Barthosa Nkurumeh is an artist and art educator. Nkurumeh received his formal art training at the University of Nigeria, synonymous with the Uli style, an established school in contemporary Nigerian art. He further attended Teachers College-Columbia University in New York and University of North Texas in Denton for doctoral studies. 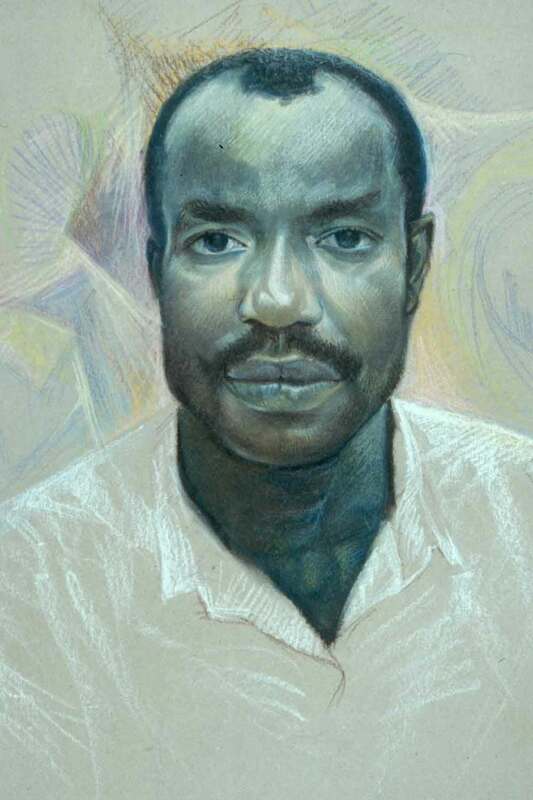 From 1993-2000, Nkurumeh taught art at Cheyney University and Clarion University, Pennsylvania. His earlier compositions were textured and balanced with patterns borrowed from Uli body decorations, traditional wall paintings, carved doors, domestic and ritual objects. Over the years, Nkurumeh has developed a repertoire of symbols that are recurrent in his art. Since the 1970s, he has worked in several media including metal-smithing, sculpture, graphic design, printmaking and painting. Recently his art and articles have appeared in some publications including Contemporary African Art, ST. James Guide to Black Artists, The Anthill Annual, West Africa, The Nsukka Artists and Nigeria Contemporary Art, and Responding to Art. Nkurumeh's visual activism can be grouped into four distinctive evolutionary stages. These progressive units are the Pre-Nsukka Years (1970-1982), the Nsukka School Decade (1983- 1992), Home Stories Interval (1992- 1996), and Cyberscapes Era (1997-date). contemplative statements about life: about its complexity, about its uncertainty, and about the vitality of our collective existence. Visual narrative and intellectual rigor are explicit in my work. On the surface, my art appears to have changed in the course of traveling, schooling and working in America but that linear rendition of form resulting from the training at Nsukka is still intrinsic in my art. The choice to share my knowledge is as important as the process of creating my own works. I am interested in promoting works of others artists who are in contact with me because I view my art profession as public service. "A true citizen of the world... Nkurumeh's hybrid art- drawings, prints, paintings, sculptures- imaginatively and successfully bridges his two homelands in its form, subject matter, and content." -Dr. Robert Bersson, Professor Emeritus of Art and Art Education, James Madison University, Harrisonburg, VA.